The force driving server virtualization is similar to that which led to the development of time-sharing and multiprogramming in the past. Although the resources are still shared, as under the time-sharing model, virtualization provides a higher level of security, dependent on the type of virtualization used, as the individual virtual servers are mostly isolated from each other and may run their own full-fledged operating system which can be independently rebooted as a virtual instance. Many companies offer virtual private server hosting or virtual dedicated server hosting as an extension for web hosting services,we provide um-metered VPS Server with root access. We are experts in virtualization environments and enterprise system administration. 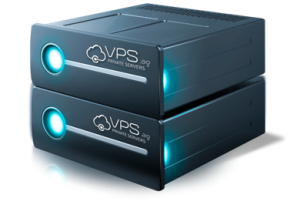 Our business goal is to provide high quality VPS hosting while continuously improving our services and the customer experience.Our nodes are monitored 24/7 and our Team reacts instantly to performance degradation or technical problems.